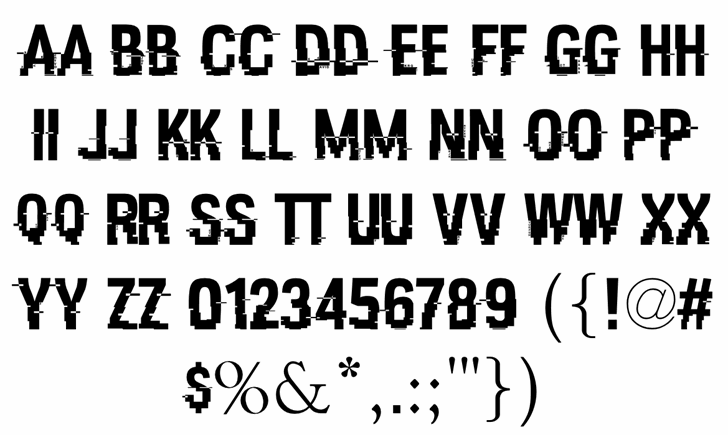 This font is a recreation of the Watch Dogs (Ubisoft game) logo but you can use it for any purpose. The licence is Creative Commons Attribution : commercial use is ok, you have to credit the font "Hacked" and its author "David Libeau". Thanks! Don't forget to donate if you like the font!